Attend REALTOR® conferences and pursue leadership roles with their local, state and national associations. Network and learn from one another by attending events, participating in online communications, and seeking out mentoring opportunities. Become exceptional members of their community by setting a high level of REALTOR® professionalism and volunteering for causes they feel passionate about. Inspired by REALTOR® Magazine's "30 Under 30", YPN is a growing group of young, career-minded real estate professionals who want to stay abreast of the latest tools, resources, and networking opportunities. There are currently 267 official networks in 49 states. Membership is FREE and includes Association Executives, Staff and REALTOR® Affiliates! 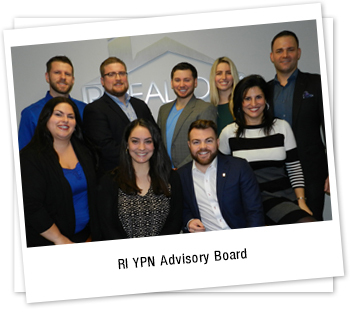 Join RI REALTORS YPN Today!